Last week, one of my colleagues temporarily left her position at work to embark on the incredible new journey of motherhood. Her excitement (her anxiety too) got me to thinking about a new mother's search for the best advice possible on the new experience of motherhood. After all, a new little human that you helped create is looking to you - and only you - to nurture her, love her and teach her absolutely everything! I immediately remembered my collection of Martha Stewart Baby magazines and how truly timeless and beautiful they are. 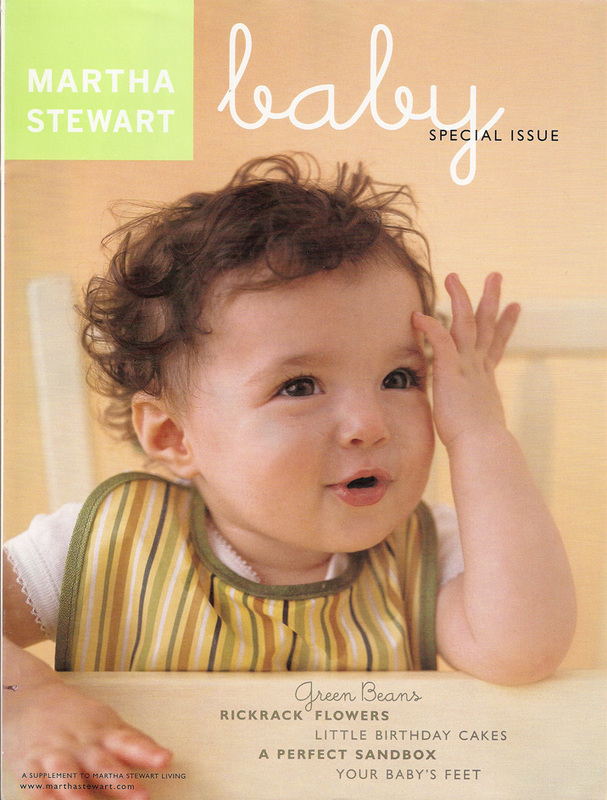 As with all of Martha's special issue magazines, I have every single copy of the Baby magazines, which began publishing in 2000 and printed its last issue in 2003. It was a short lifespan for such a lovely series of special issues but I cherish them as an essential component of my Martha Stewart publication catalogue. Below are all of their covers with a brief synopsis of the contents. Collectors can occasionally find these issues on eBay and they are worth the hunt! This was the first Martha Stewart Baby, a special issue that published in 2000 on newsstands and through phone order only. It was not part of a subscription service. 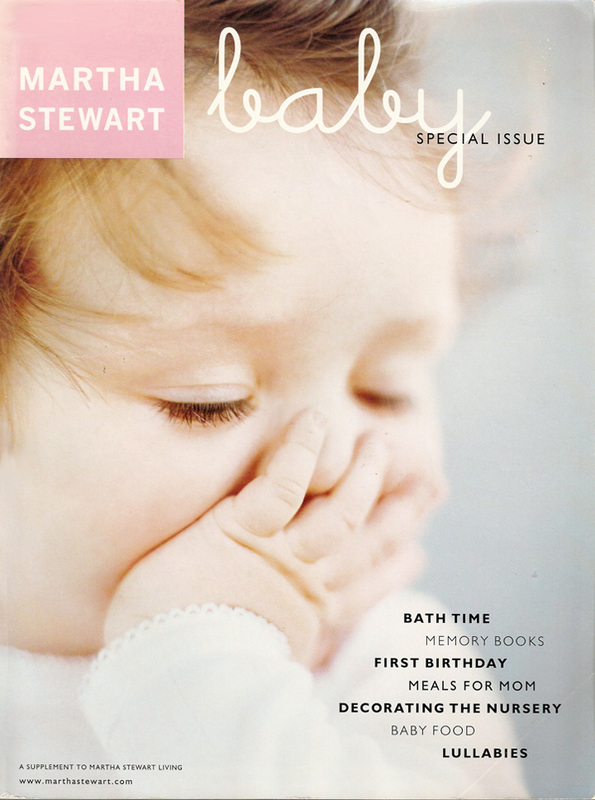 The premise of the magazine is to teach expectant mothers about babies and their needs, as well as provide a wealth of inspiration for them: making memory books, preparing the healthiest meals for a mother-to-be, decorating the nursery for a boy and for a girl, all about baby food and the history of lullabies. 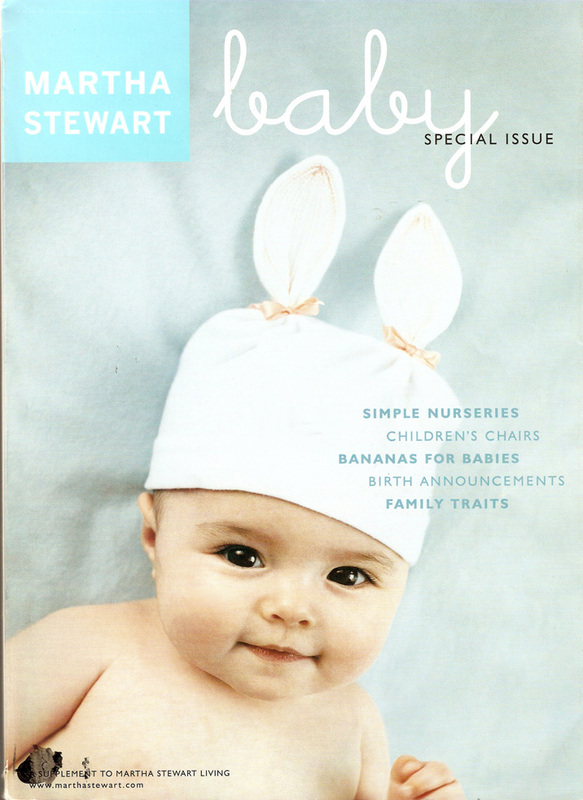 The magazine was edited by Celia Barbour. Martha also writes an introductory letter in this issue and also contributes an article about being pregnant with her daughter, Alexis. 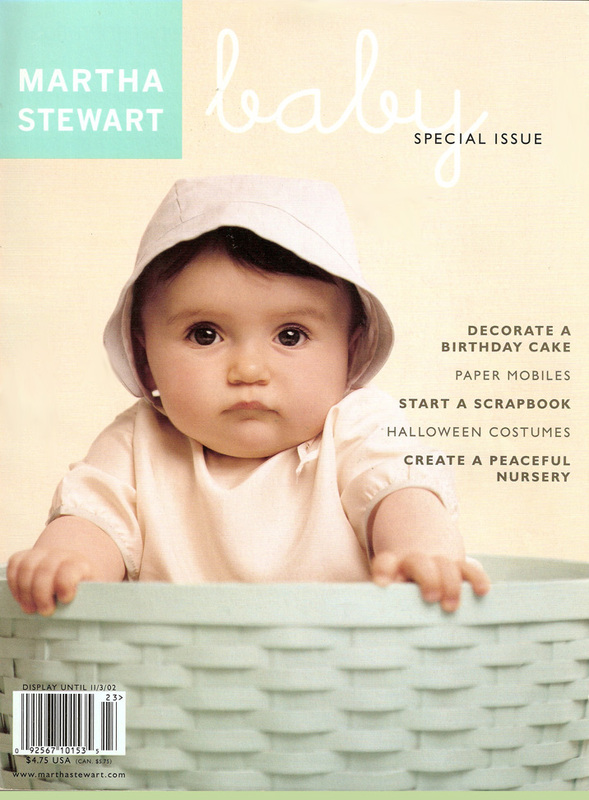 This second issue, published in 2001, was the first among a series of issues that readers could actually subscribe to. 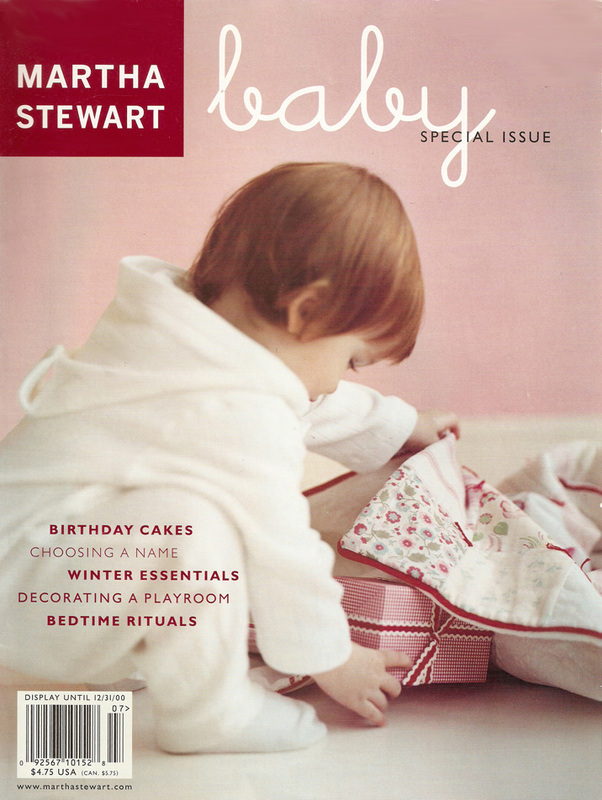 Inside there are all kinds of ideas for birthday cakes, advice on choosing a name, knitting and preparing baby for winter, decorating a playroom and bedtime rituals that will help baby fall asleep faster, and for longer. This third issue is all about spring: spring nurseries, what mothers need to know about milk, preparing a changing table, cooking with carrots, swaddling techniques and embellishing baby clothes with embroidery. Issue number four: more birthday cakes, making costumes for Halloween, creating a nursery based on an alphabet theme, teething, introducing baby to dance and music. Number five: simple nurseries that can transition into bedrooms as baby ages, children's chairs, cooking with bananas, handmade birth announcements, learning about family traits and genetics. Number six: decorating birthday cakes, handmade paper mobiles, starting a baby scrapbook, more Halloween costumes, creating a peaceful nursery. The last issue published in the spring of 2003: green beans, rickrack flowers, little birthday cakes, building a sandbox, learning about your baby's feet. What makes the magazines so beautiful to me is the photography and the nod to nostalgia throughout each issue. There is a definite appreciation for the vintage, the handmade, the lovingly-restored and the prettily-embellished. 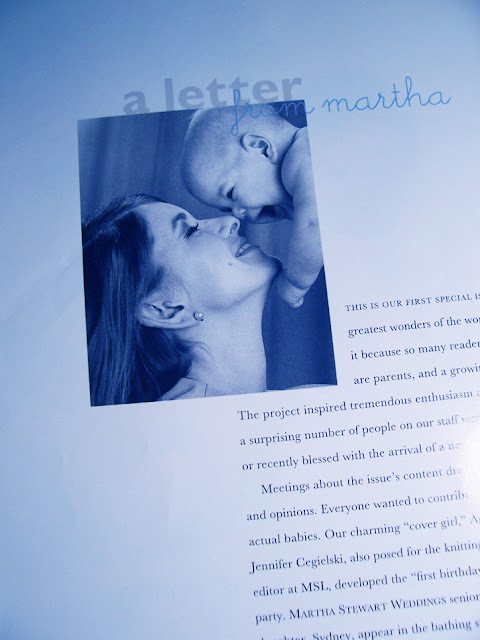 I love this photo of Martha holding up newborn Alexis, which accompanies her introduction letter. i too have most of these issues only because i buy all martha stewart publications. i loved the content and havent seen anything comparable on the newstands. i dont regularly look, tho, since my daughter is grown up, but gosh--didnt Martha have a lovely vision? These were amazing magazines. I too have every single issue. 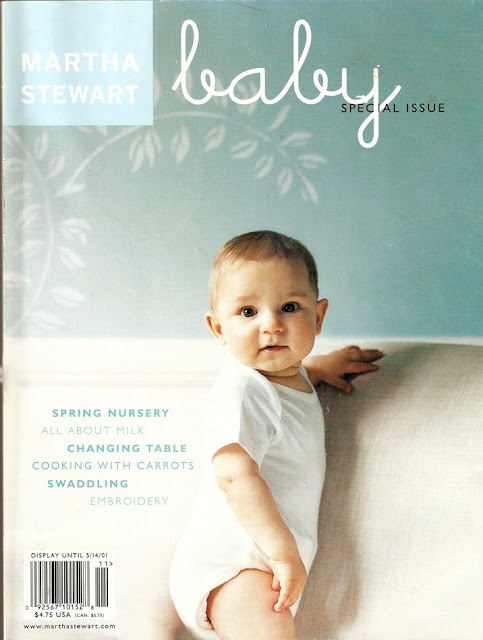 The first issue came out when I was pregnant with my first son so everything was totally relevant to me. Sometimes now I just look through the old issues because they are so beautiful and timeless. I will never give them up! Glad you are back Andrew. Great post. 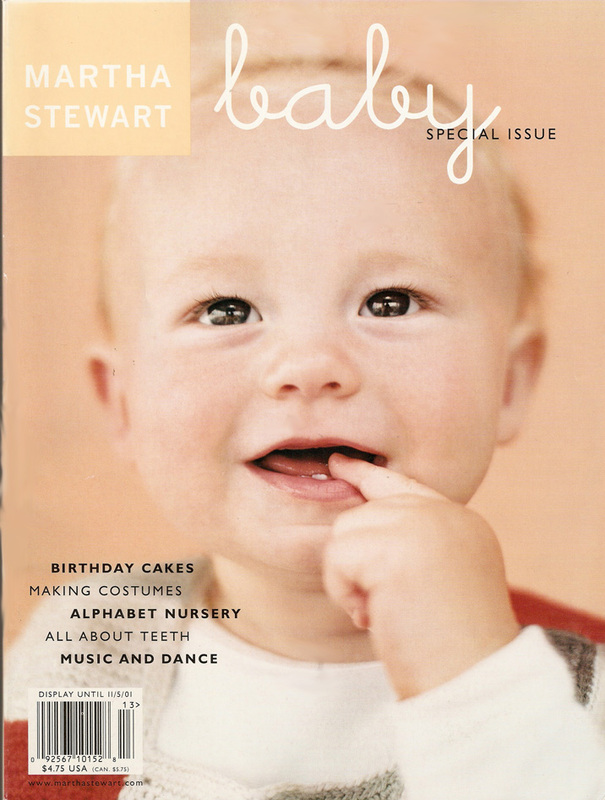 I don't have kids or even want kids, but I want that magazine. I am going to have to Ebay. Hi Mss, It was issue number 4, shown as the fourth magazine down from the top of the article. It has the photo of the baby with his finger in his mouth.